Among all home buyers combined as one group, the median home size desired is 2,226 square feet. However, a closer look at the data broken down by various buyer characteristics shows there are significant differences in how big a home different types of buyers really want. Age, for example, plays an important role, with the amount of space desired dropping steadily as the age of the buyer increases. 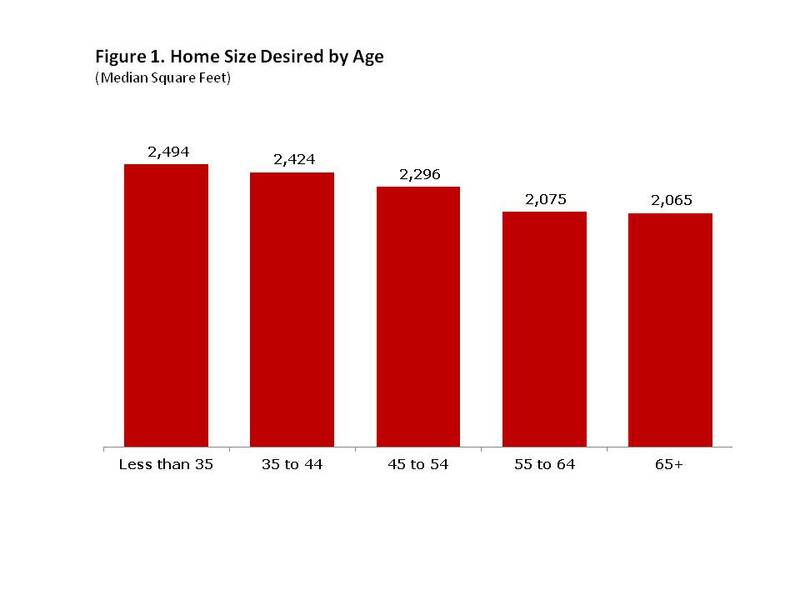 Among those younger than 35, the size desired is 2,494 square feet, compared to 2,065 square feet among those 65 or older (Figure 1). Race and ethnicity also affect home size preferences, as minority buyers tend to want more space than White, non-Hispanic buyers. 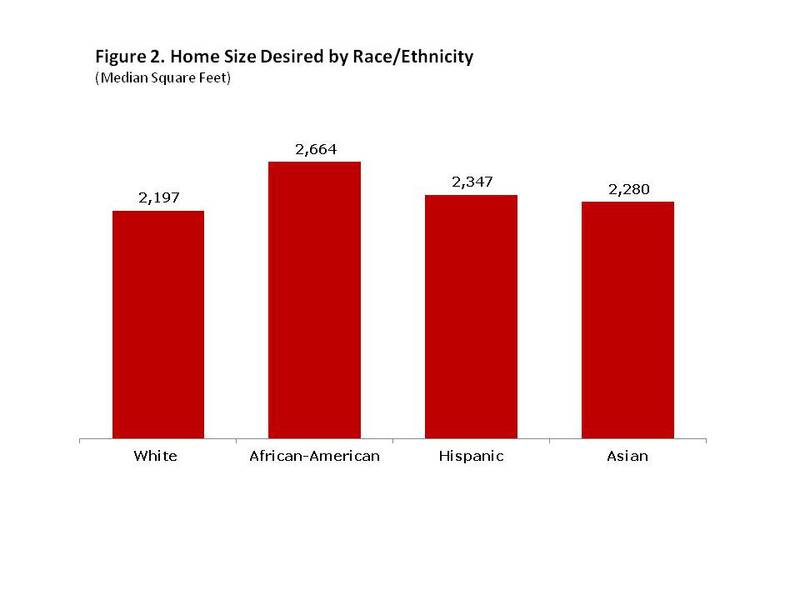 While the latter report wanting about 2,197 square feet, Asian buyers desire to have 2,280 square feet, Hispanic buyers want 2,347 square feet, and African-American buyers want 2,664 square feet (Figure 2). Estimates from the U.S. Census Bureau indicate that the median size of all single-family homes started in 2012 was 2,309 square feet (the average was 2,521 square feet). After peaking in 2006, the median home size fell in 2007, 2008, and 2009, but then reversed course and has now risen for three consecutive years. The reason for this reversal, to a large extent, has to do with buyers’ ability to access credit. In recent years, the less financially-solid buyers have been shut out of the new home market by overly stringent mortgage lending requirements. As a result, homes built in the last few years reflect the preferences of those who are still able to obtain credit and have large down payments – typically wealthier buyers who can afford larger homes. This article was originally presented by NAHB’s Eye on Housing blog. Survey participants are representative of all home buyers in the country, across geographic, age, income, and race groups.